An article describing the invasion of the green crab into New England waters. Learn all about this scallop-eating invasive species that is now spreading to the west coast. An excellent lesson on introduced species. Article also describes what locals call Japanese grass, Codium fragile, an alga that is displacing local eelgrass, a vital habitat to juvenile fin and shell fish. 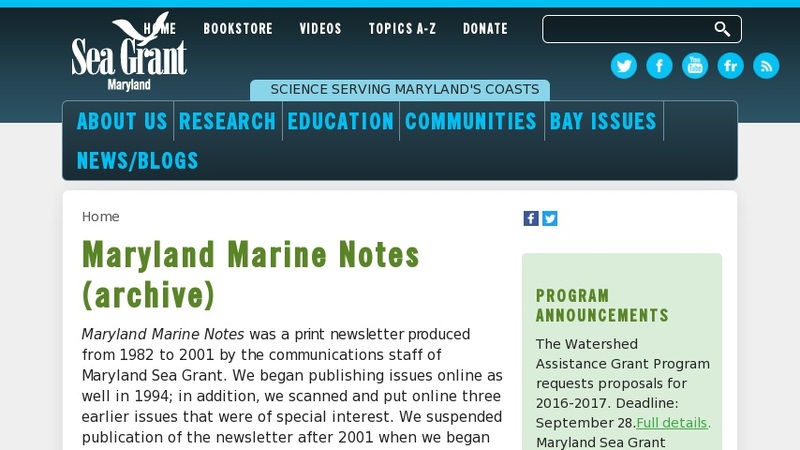 Site links to additional Chesapeake Bay invasive species information.